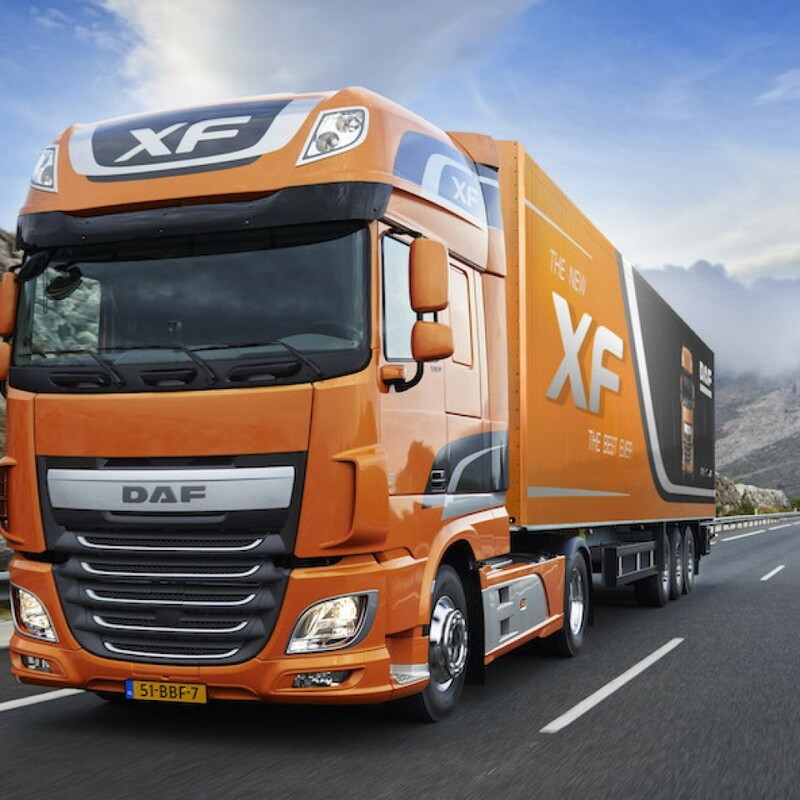 DAF Trucks collected three prestigious awards at the 2016 Commercial Fleet Awards ceremony: next to DAF Trucks being awarded ‘Truck Fleet Manufacturer of the Year’, the DAF LF-series was voted ‘Best Urban Delivery Truck’ and the DAF CF-series won the ‘Best Distribution Truck’ Award. 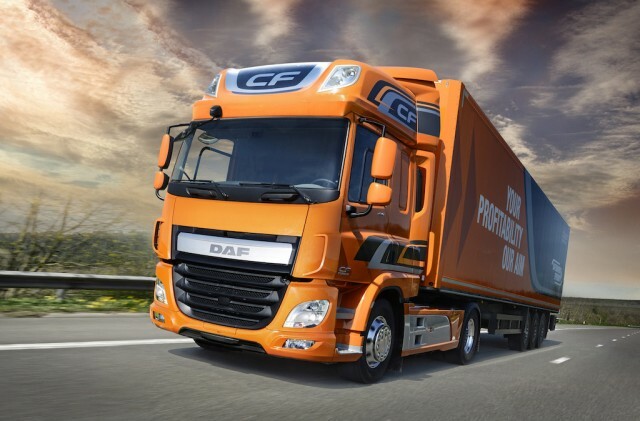 It is for the second year in a row DAF Trucks scoops the Commercial Fleet Award for both the LF-series as well as for ‘Truck Fleet Manufacturer of the Year’. 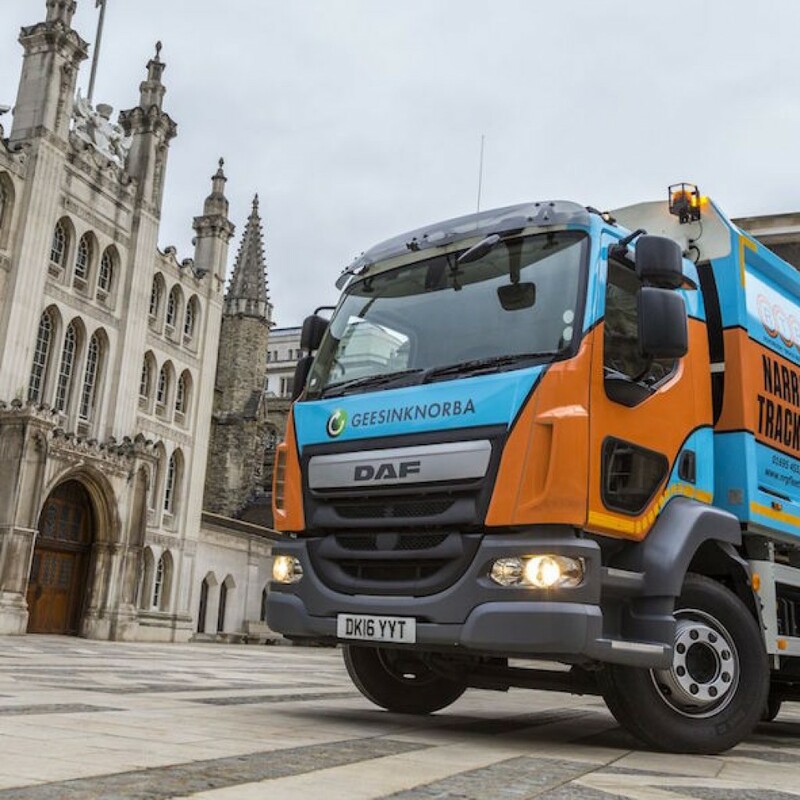 The Atego has been named the Best Civil Engineering and Construction Truck 2016 by Commercial Fleet magazine. The Commercial Fleet Awards are dedicated to promoting the commercial fleet sector, recognising its importance to British business. 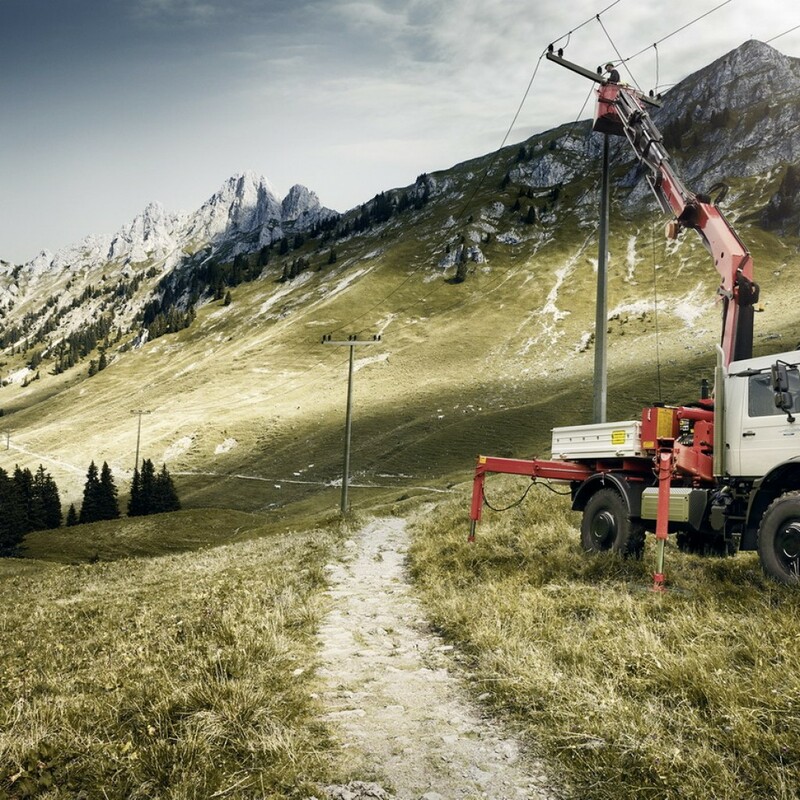 With a level of quality and comfort only matched by its larger siblings, the Atego is a real all-round professional in construction applications. 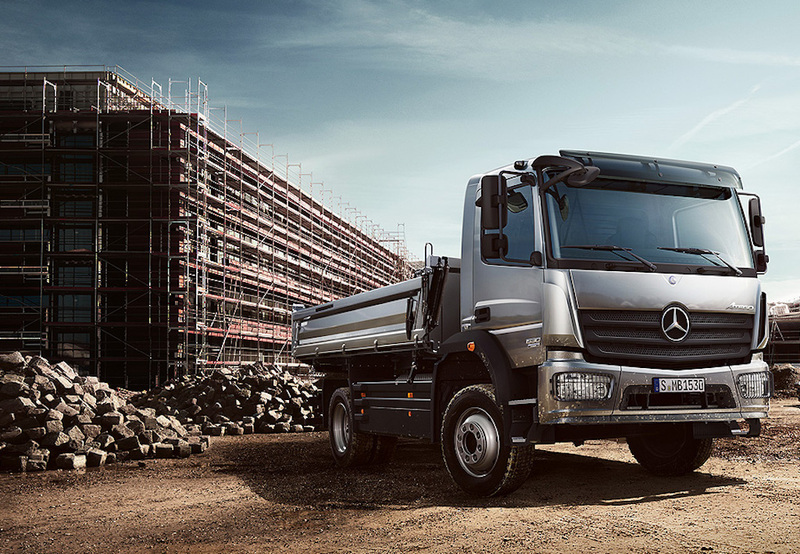 The technologically advanced range offers chassis solutions from 6.5 to 16 tonnes gvw, with power from fuel-efficient four- and six-cylinder Euro VI engines which drive through standard-fit Mercedes PowerShift 3 automated gearboxes. In collaboration with Castrol was conducted across the globe. The program is an initiative for recognising the knowledge & skills of its Service Advisor across all TML authorised workshops. The program received an overwhelming response from Channel Partners across the globe. 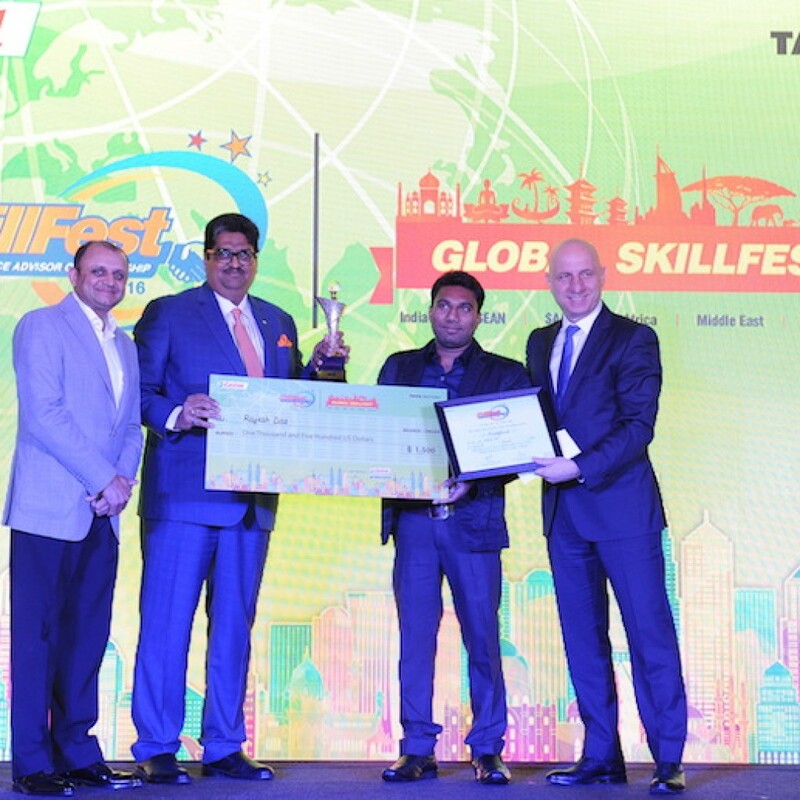 Skill Fest Championship Global level was held at Kuala Lumpur; Malaysia on Saturday 17th December 2016 with the top best Service Advisor from India , SAARC, Africa, Middle East, CIS & Russia. 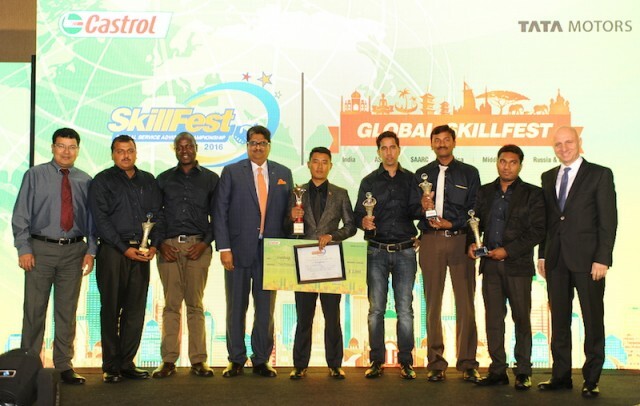 SkillFest Global level had 26 Service Advisor from 16 different countries ( INDIA, CHILE, KENYA, SENEGAL, SRI LANKA, INDONESIA, NEPAL, OMAN, SOUTH AFRICA, BHUTAN, DUBAI, THAILAND, TUNISIA, MALAYSIA, SAUDI ARABIA ,Ghana) participating. The Global level involved test having a combination of theory, Role-plays & Personal interview on topics such as Product knowledge, Soft Skills, repair & maintenance practises, Business skills, Castrol red carpet training, Safety etc. 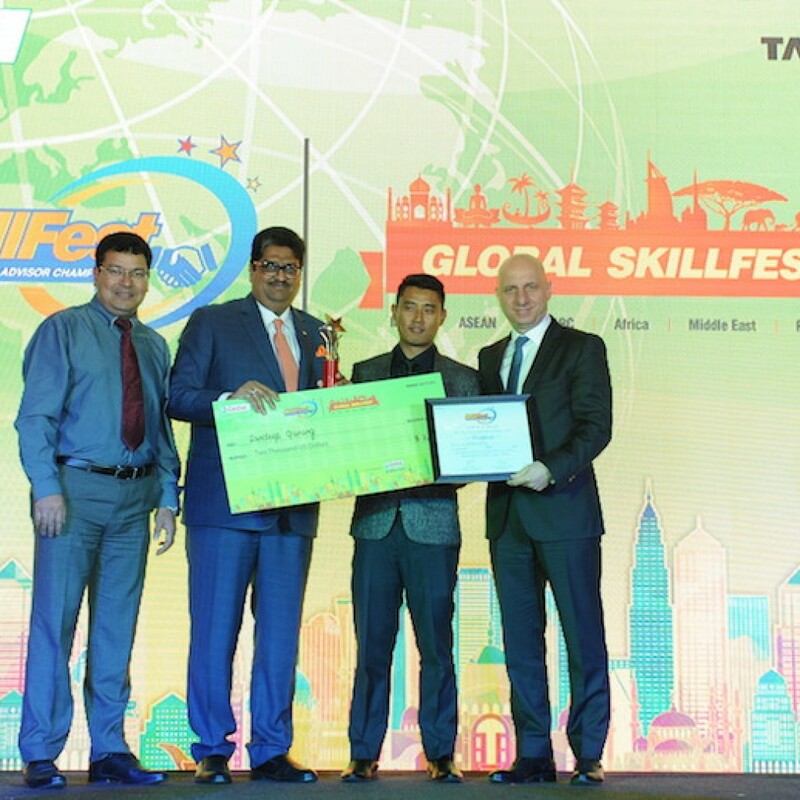 Global SkillFest Award Ceremony was held on the eve of 17th December 2016 at “Renaissance Hotel” located at Kuala Lumpur; Malaysia. The function was graced by the presence of Senior dignitaries from Tata Motors Ltd & Castrol, Channel partners from across Globe & Global level 26 Service Advisor . 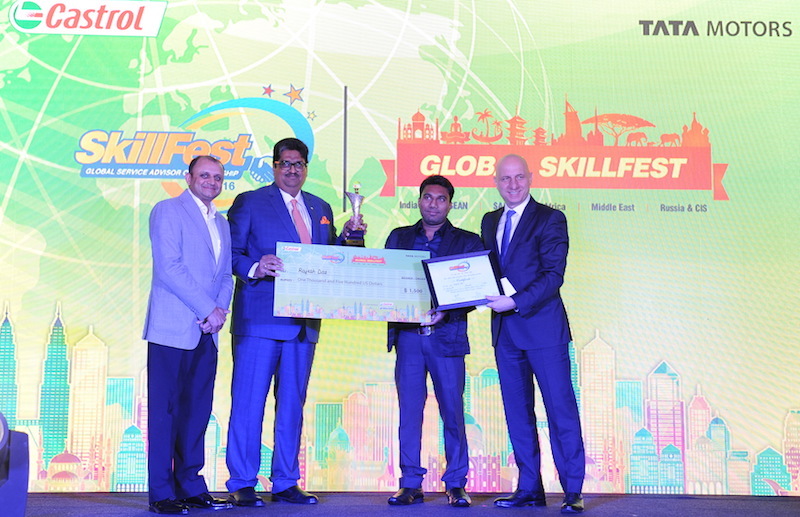 SkillFest Global level Winner title is won by Mr.Sandeep Gurung from Nepal (M/s Sipradi Trading PVT Ltd ). He was awarded by Trophy, certificate and a cash award of US $ 2000/- (US Dollars Two thousand). The 1st Runner up positionis secured by Mr. Rajesh Das from India (M/s Mithila Motors). He received a cash award of US $ 1500/- (US Dollars One Thousand five Hundred), Trophy & Certificate. 3rd, 4th & 5th position Service Advisor were felicitated by Mr. Sandeep Bharadwaj; Head- Field Service (Domestic)), Mr Ganesh Shetty; Head (Customer Care – CV Intl Business), Mr. Rajeev Govil; VP – OEM & Workshop Castrol & Mr. Uday kumar; Global Key Account Manager Castrol. The 3rd position (2nd Runner up) is secured by Mr. Venkata Satya Joga Rao from Oman ( M/s Al Hashar Co LLC). He received a cash award of US $ 1000/- (US Dollars One thousand), Trophy& Certificate. The 4th position (3rd Runner up) is secured by Mr. Sandeep Yadav from India ( M/s M. G. Motors ). 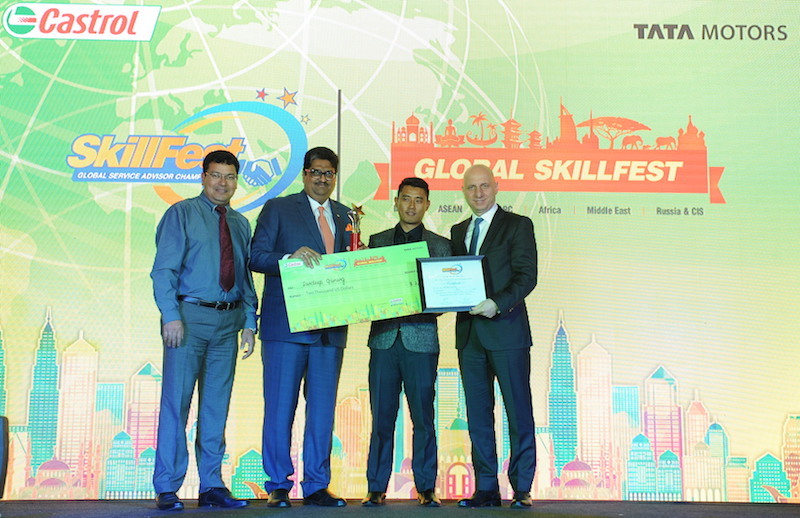 He received a cash award of US $ 1000/- (US Dollars One thousand), Trophy& Certificate. The 5th position (4th Runner up) is jointly secured by Mr. Mohan G. C from India ( M/s Arvind Motors) & Mr. Felix Omondi Wandolo from Kenya ( Tata Africa Holding ( kenya) Ltd.) Each one received a cash award of US $ 500/- (US Dollars Five Hundred), Trophy& Certificate. All 26 Global level Service Advisor received a Certificate of Participation by Senior officials of Tata Motors Ltd. & Castrol India Ltd. 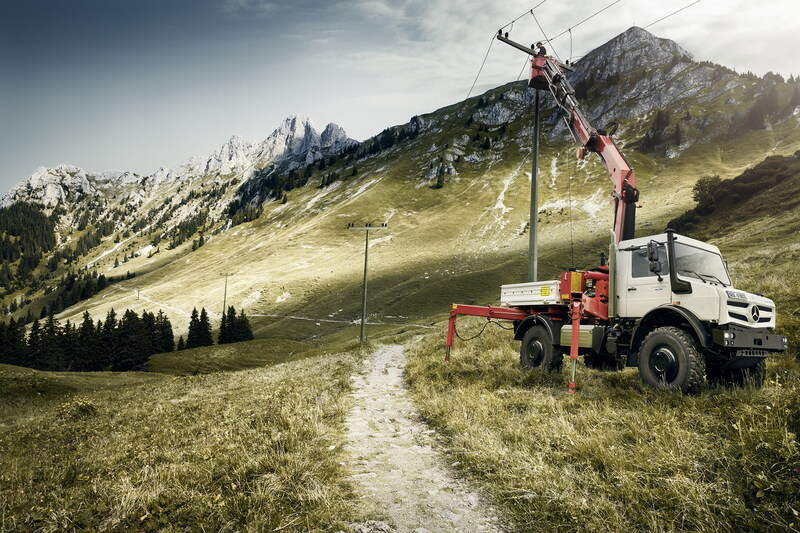 The aim of the 80-series was to be both at the forefront of technology and luxury. Along with passenger car like styling in the front design, wide tires and large fenders gave it a bold effect, looking something like a luxury battleship that could cruise the land. 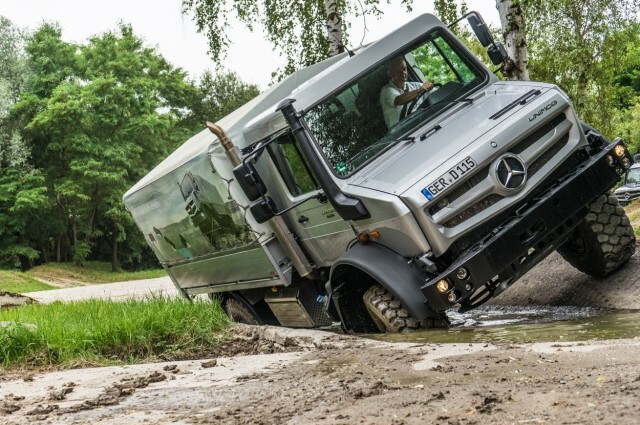 It was a break from the tradition of the Japanese 4×4. 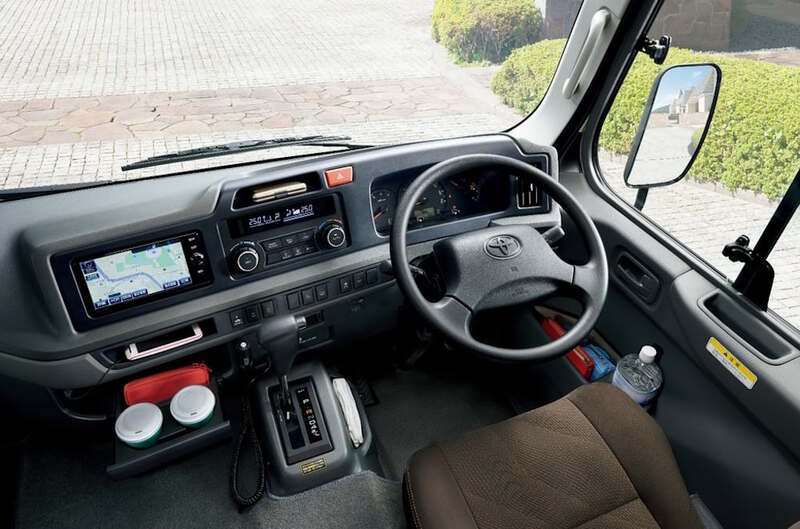 Moreover, accommodations remained for off-road applications, such as space in the instrument panel to install wireless communications equipment, and a rail for mounting a roof carrier. 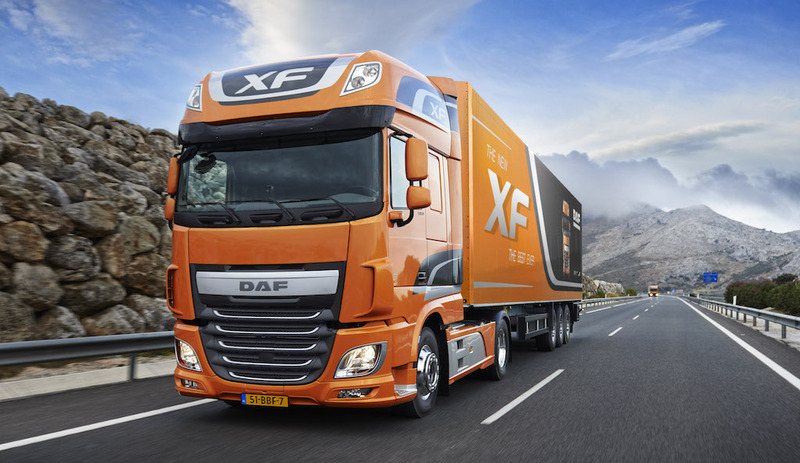 It was large at 5 meters length and 2 meters wide, with 3 types of engines to choose from; the 3F-E-type gasoline engine, the 1HD-T-type direct-injection diesel turbo engine (4,163cc, 165PS, 37.0kgm), and the 1HZ-type diesel engine. For all but one type of model in the series, it came with rigid coil springs in front and rear, and a full-time 4×4 power train. Of course the top of the line van and wagon offered a VX Limited grade. In 1992 the original 3F-E-type engine was replaced in the new model FZJ80G with a 1FZ-FE-type gasoline engine (DOHC (Double Over Head Camshaft) in-line 6-cylinder, 4, 476cc, 215PS, 38kgm specs). In 1995, the HDJ81V was added to the lineup, and the 1HD-T-type diesel engine took on 4-valves in the 1HD-FT-type engine (4,163cc, 170PS, 38.7kgm specs). 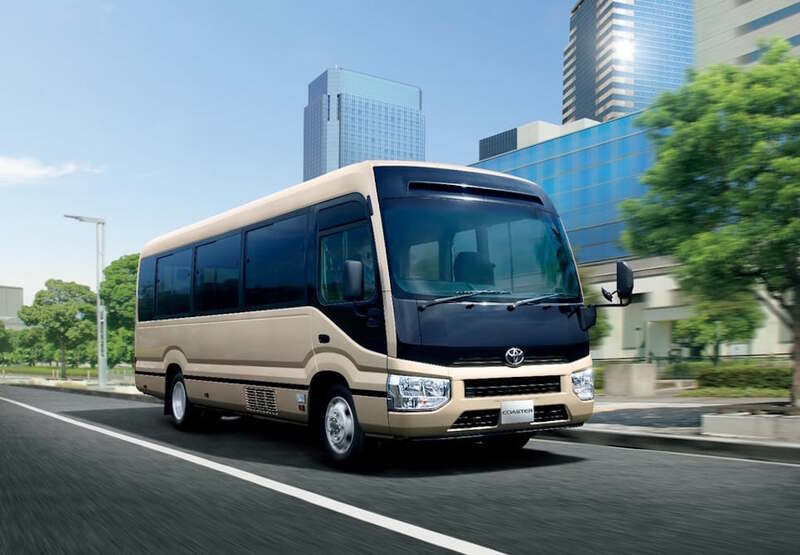 In addition a camper style model called Active Vacation was added to the lineup, which was registered in a low tax and low maintenance bracket. In 1996 all models took on ABS and air bags as standard equipment. 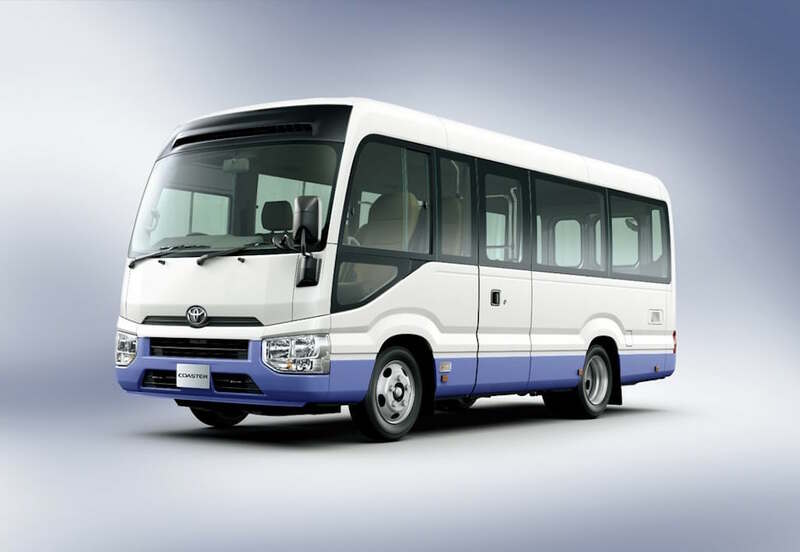 Only the van series came with the standard GX grade only, and all grades had a widened body. 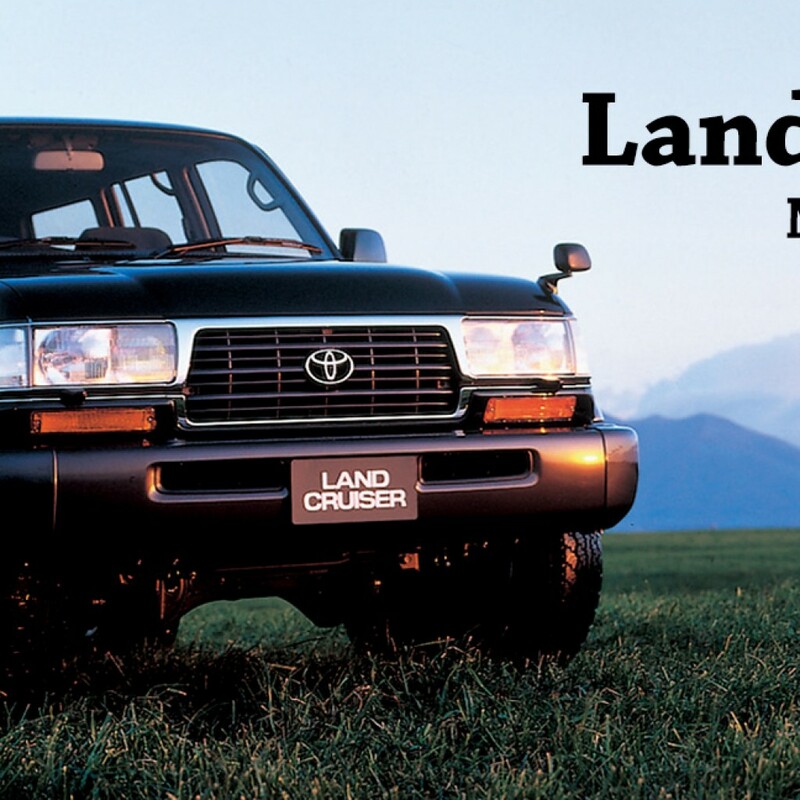 The 80-series continued to get larger and more luxurious until it was eventually replaced in 1998 with the debut of the 100-series Land Cruiser. The transition to the next generation was made when the 80-series still enjoyed a high level of popularity, much the same as had happened earlier when the 60-series made way for the 80-series Land Cruiser. 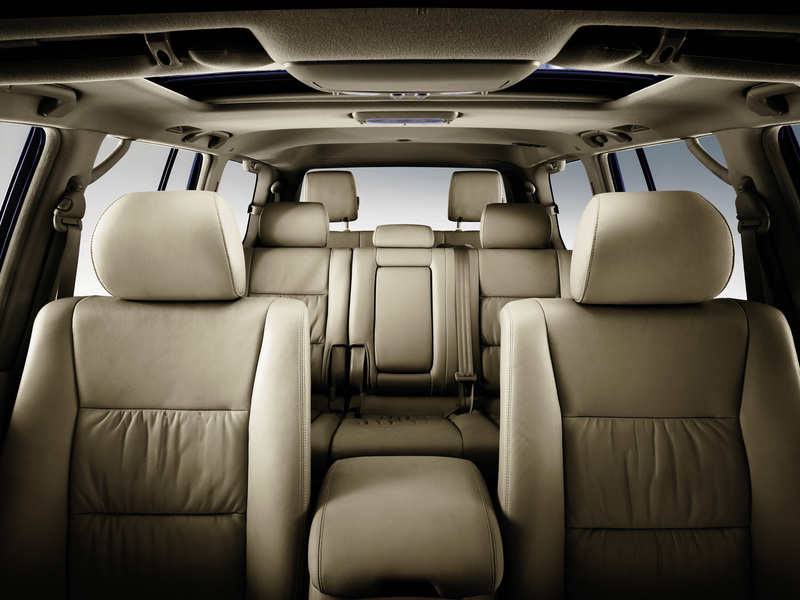 However, luxury has not softened the Land Cruiser. 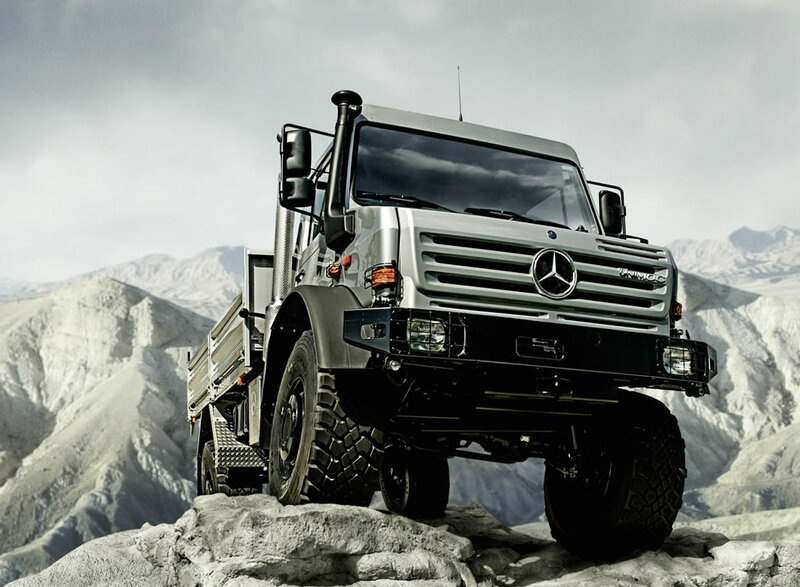 It has not sacrificed its ability to take on the toughest roads the world has to offer. 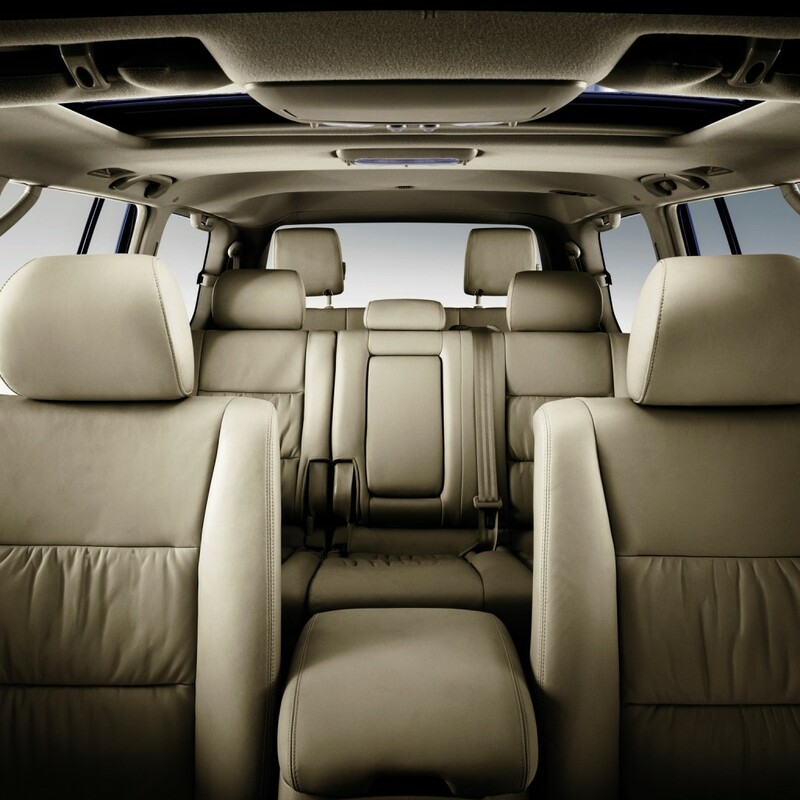 No matter that it is more comfortable and luxurious to ride in, the Land Cruiser remains the Land Cruiser, which is the reason for its lasting popularity. Are We Ready For Biofuel? Oil palm plantations can be found in almost every state in Malaysia. While the country may be ranked second after Indonesia on the list of producers in the world, it leads global exporters of the fruit-based oil. Being a perennial plant, the oil palm is the highest yielding among oilseed biofuel crops, producing up to seven times more output than rapeseed and 10 times more than sunflower per hectare annually. This oil is incredibly versatile in its application, able to be made into cooking oil, butter substitutes, detergents, lubricants and biodiesel. Also referred to as palm oil methyl ester, biodiesel is a biofuel yielded through a process called transesterification, which is a reaction between oil an alcohol, and biodiesel blends are often created by mixing palm oil biodiesel with other fuels. 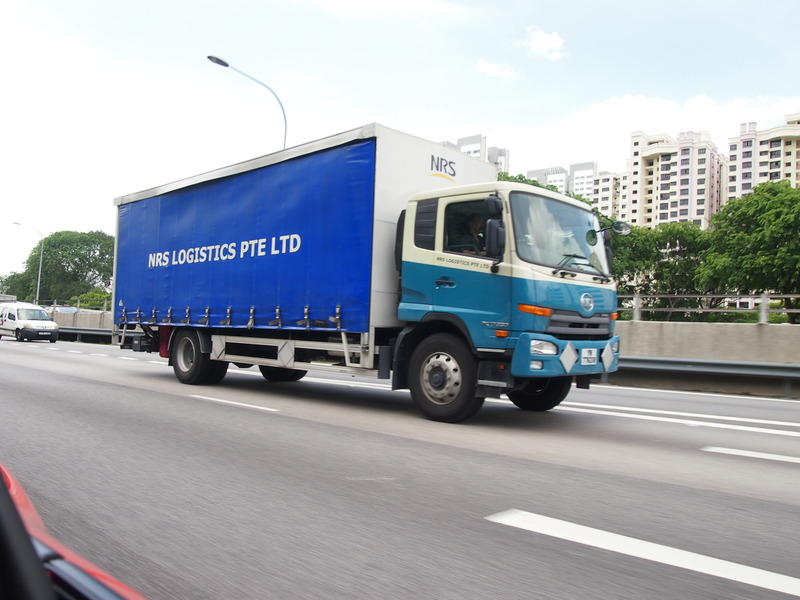 Considered to be a successful technology provider for the production of biodiesel, the Malaysian Palm Oil Board (MPOB) has invested considerable effort in the research and development in the yield of biodiesel from palm oil since the 1980s, and used the technology accumulated through the years to build its first commercial plant in 2006. 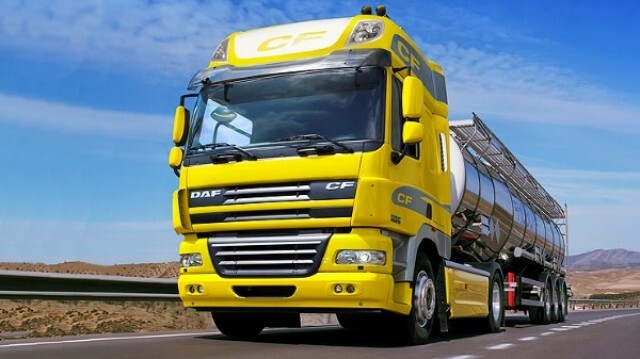 As expected, the fuel produced meets the stringent requirements of international biodiesel specifications. 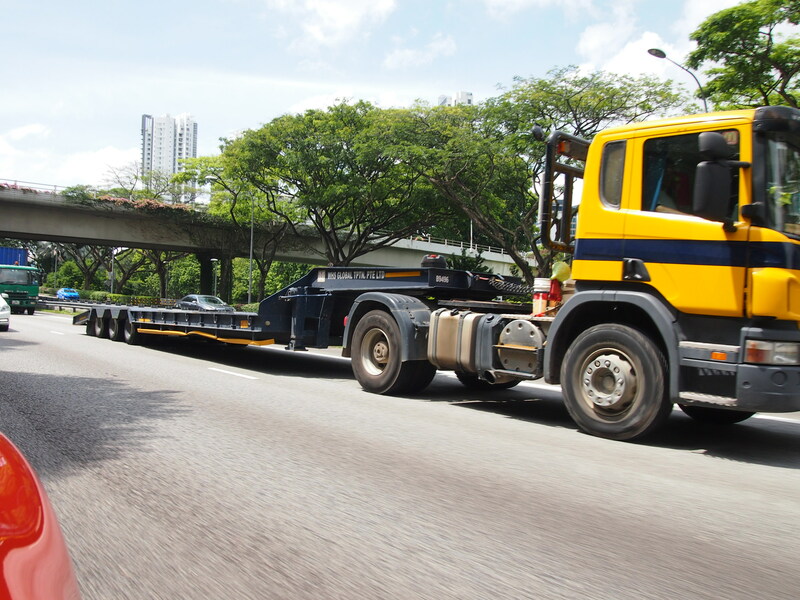 These include ASTM D6751, which outlines specifications for biodiesels blended with middle distillate fuels and EN 14214, which lists the requirements and test methods for biodiesel. Local oil palm plantation companies such as Sime Darby have also tapped into the potential of biodiesel, creating divisions that are dedicated to its production. Despite its numerous advantages, the outlook of palm biodiesel in the country is not quite as rosy as the hue of the oil it is based on. 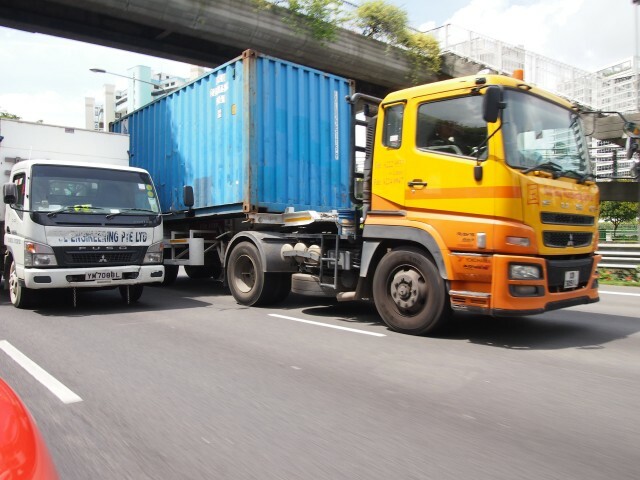 The planned October 2015 introduction of B10 biodiesel, which uses a blend of one part palm oil to nine parts diesel hit some speed bumps after a number of automakers voiced their disapproval of the biofuel. 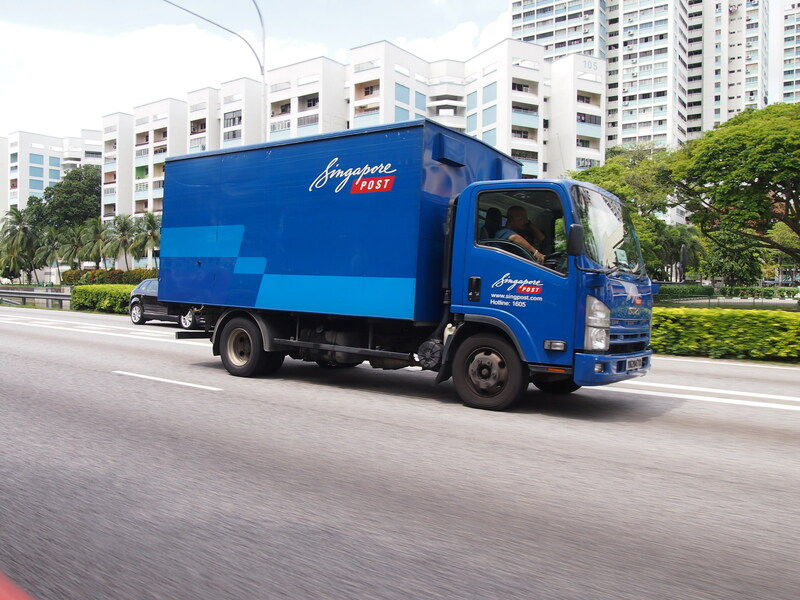 BMW Malaysia explained that B10 is not suitable for its diesel engines. 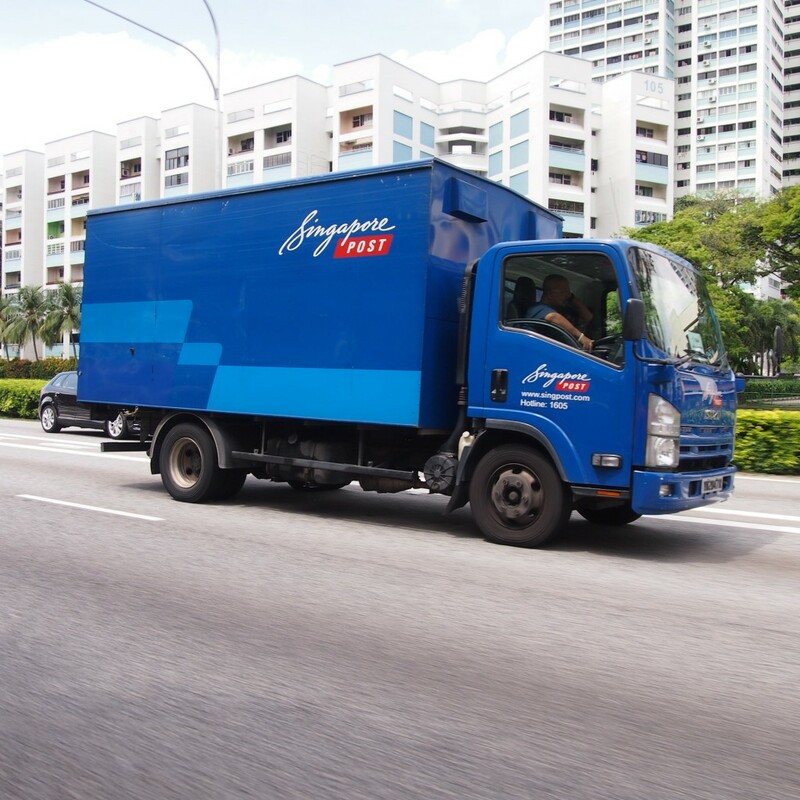 “In our tests with B10 biodiesel worldwide, we have found technical challenges present when blending 10% of palm based methyl ester with the current conventional fuel,” BMW Group Malaysia Managing Director and CEO at the time, Alan Harris stated. 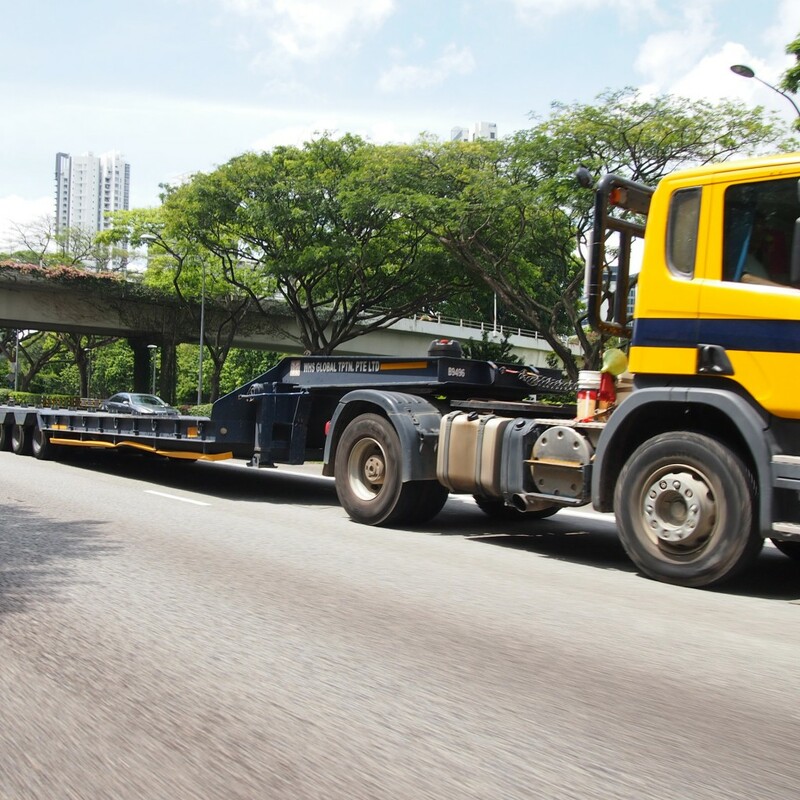 Malaysia Automotive Institute (MAI) CEO Mohd Madani Sahari said that it will engage in talks with MPOB and involve automotive players more in the discussions. 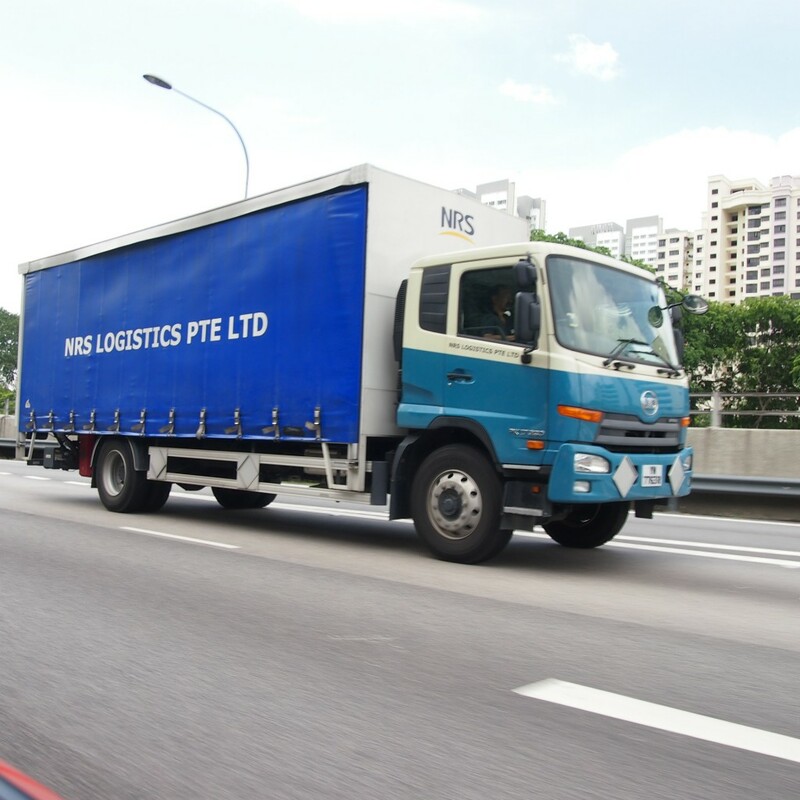 “A number of automotive industry players have said it’s not compatible in the past two to three years,” he noted, emphasising the need to find a solution to satisfy all players. According to Plantation Industries and Commodities Minister Datuk Amar Douglas Uggah Embas, with B10 in place, consumption of palm would rise to 1 million tonnes from about 700,000 with B7, making it a viable venture. 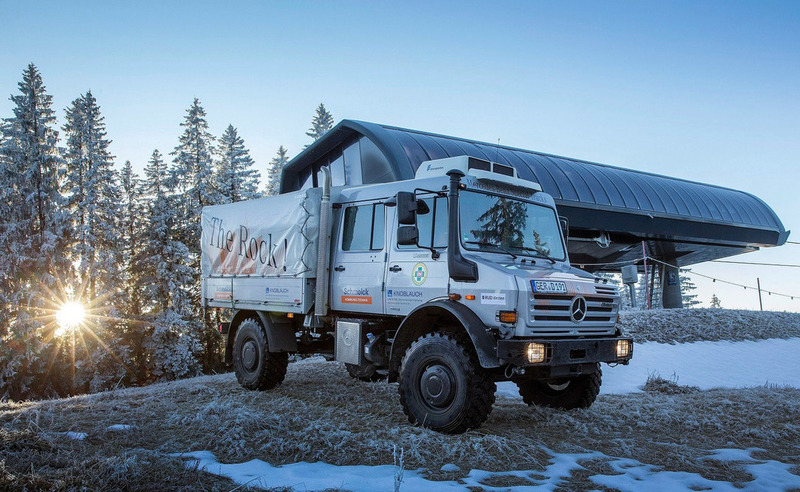 Special Trucks division at Mercedes-Benz has loaned the mountain rescue services in Baden-Württemberg a Unimog U 4000 with a seven-seater double cab. 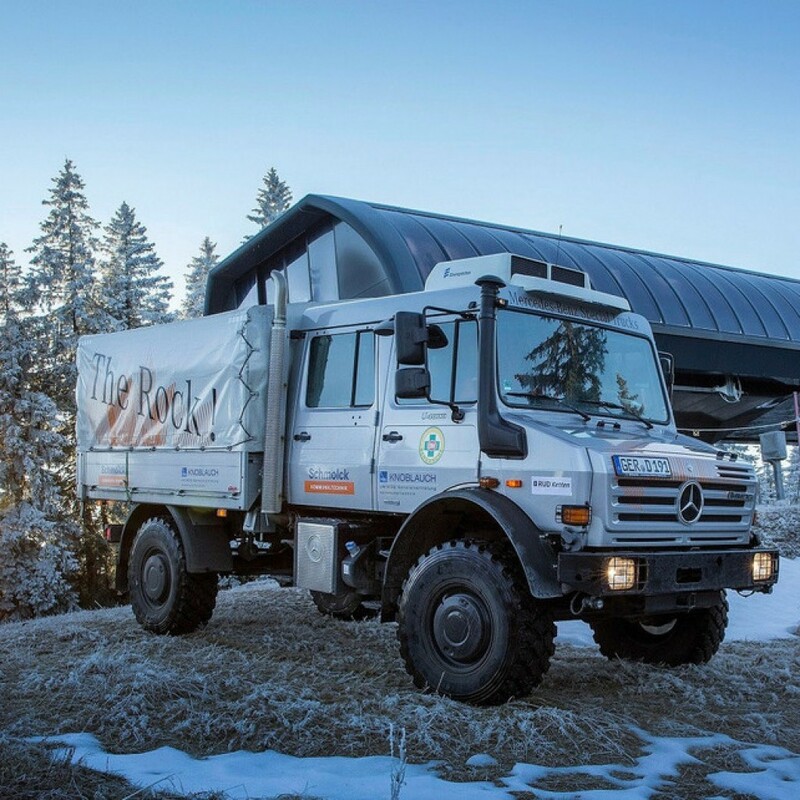 With it, the mountain rescue crews have the possibility to put the Unimog extreme off-roader concept to the test on the Feldberg mountain in the Upper Black Forest region. 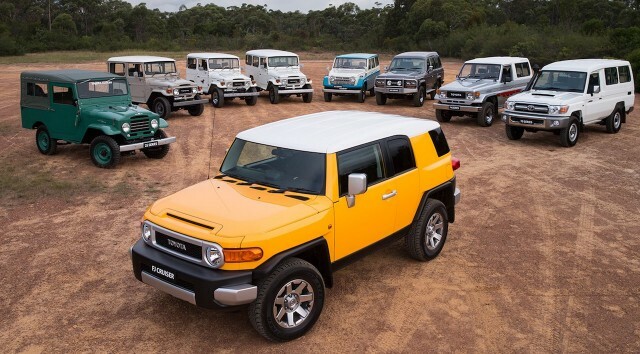 Why was the Toyota FJ Cruiser discontinued? 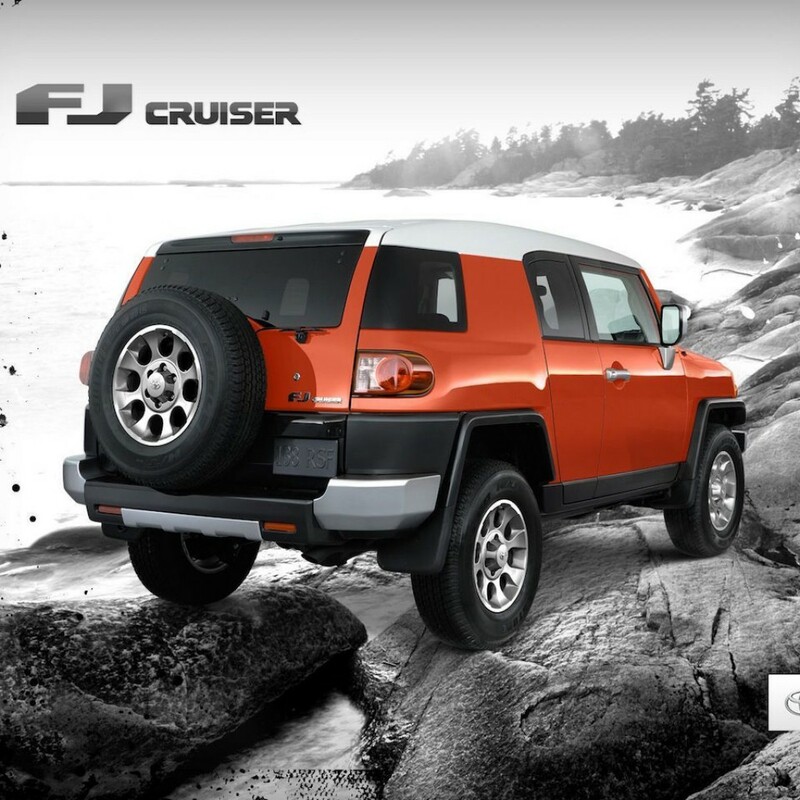 The loveable FJ Cruiser has been discontinued, making the 2014 FJ Cruiser the last model year. This was the last of the rugged looking Toyota 4×4 ready to take you exploring. 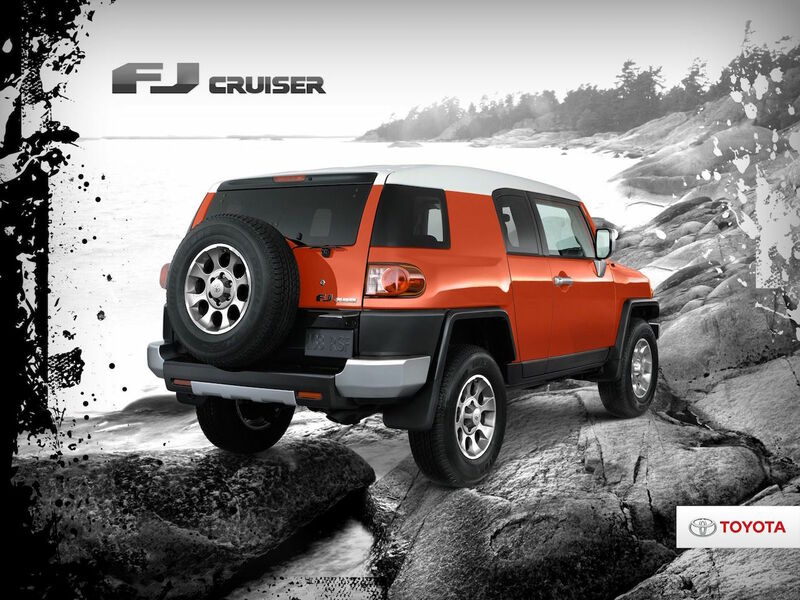 The 10-year-old design of the FJ Cruiser still looks very fresh and inviting and we think Toyota should keep producing this rugged 4×4. All that is needed is to refresh the basic interior and change the suicide doors to 4 proper doors and you will have yourself another 10 years of global sales success. 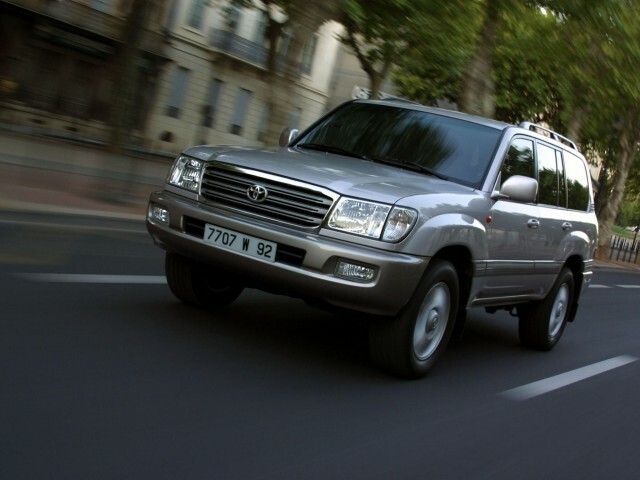 If you have never noticed this rugged looking 4×4 Toyota SUV let us share with you some vital information about it. 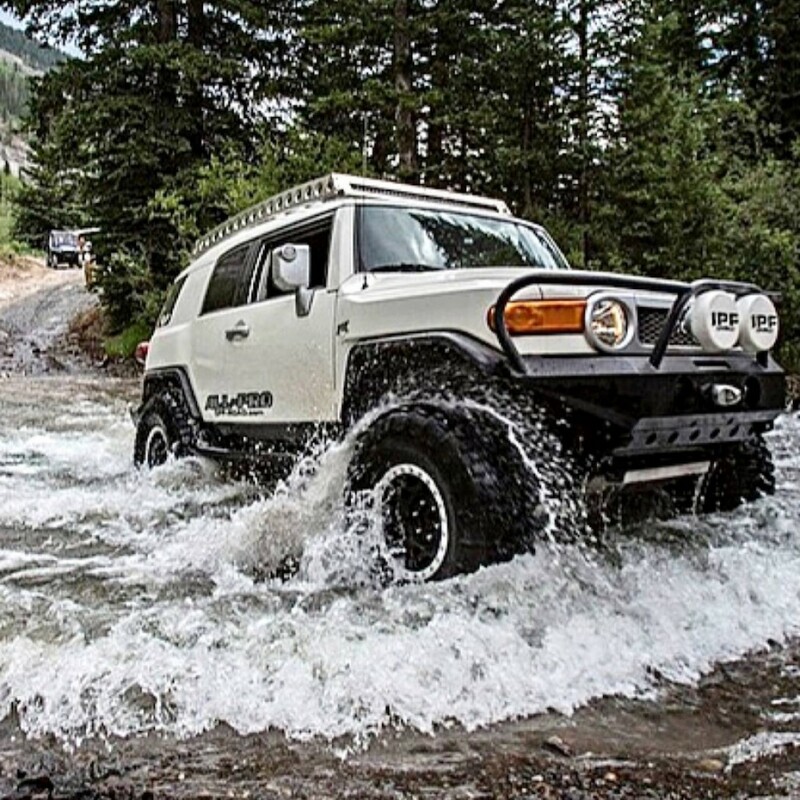 The FJ Cruiser is a true off-road vehicle that draws on the styling and heritage of the classic Toyota FJ40 that started life back in the 1960s and kept alive all the way into the 1980s. 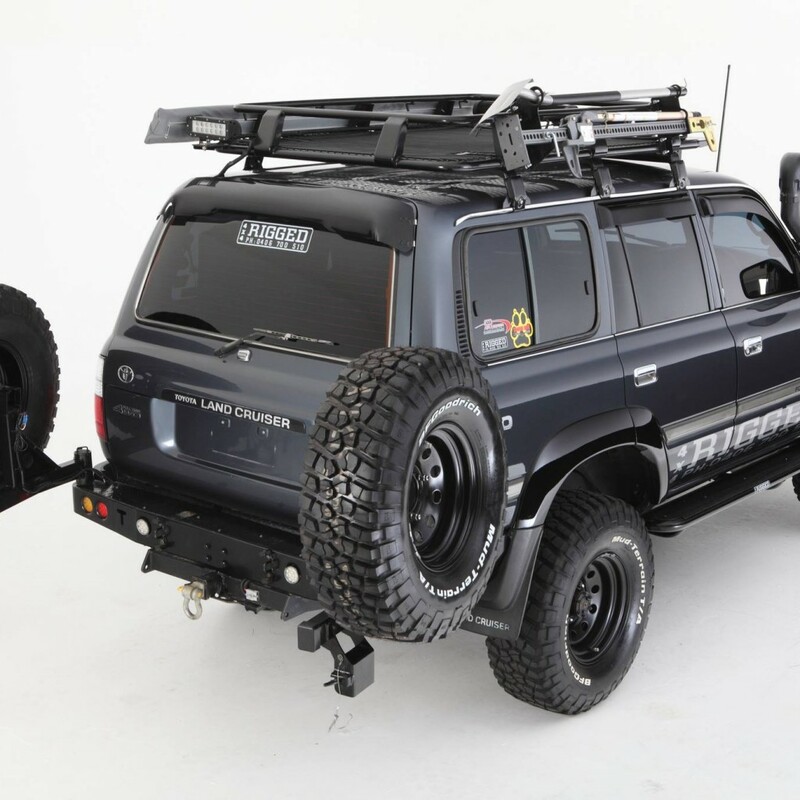 Aside from new LED tail lamps, almost everything externally has been left unchanged for the refresh, including the white roof, unique grille and wrap-around rear side windows, all signature elements of the original FJ40. The FJ Cruiser has two main forward-hinged doors and two smaller rear-hinged access doors that open to 90 degrees for rear-seat access. 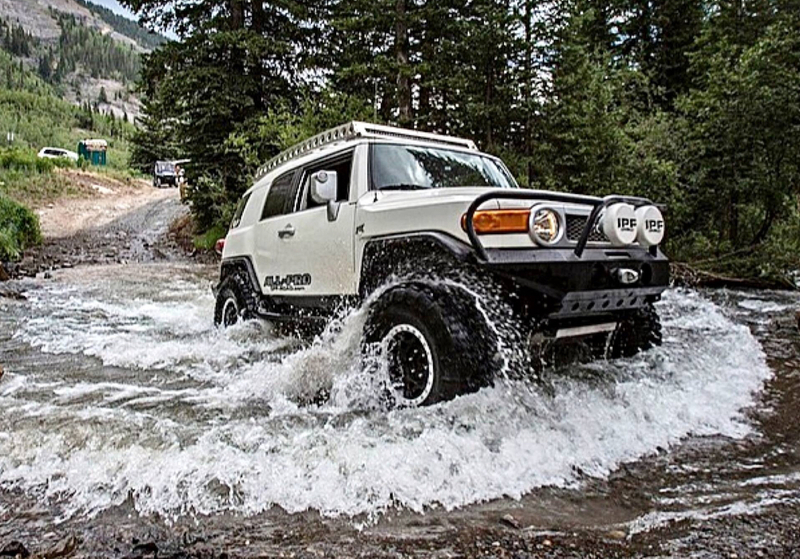 The FJ Cruiser comes equipped with an upgraded 4.0-litre V6. A 5-speed automatic is standard on all trims, but there is also a 6-speed manual base model which is very rare. Imported into Malaysia via the gray market, this Toyota comes with power steering, power windows, central locking, manual A/C, radio & CD player/USB/AUX/Bluetooth support, water-resistant fabric seats, front fog lamps, rear parking sensors, full-time 4×4, rear-diff lock and 17-inch alloy wheels, automatic gearbox, power mirrors, crawl control, dashboard display, navigation, rear-view camera, rear window wiper and part-time 4×4, 8 speakers, steering wheel with audio and telephone controls, leather-stitched steering wheel, front skid plate protector, spare wheel hard cover, and lot of chrome pieces such as the exhaust tip, grille, door mirrors and door handles. 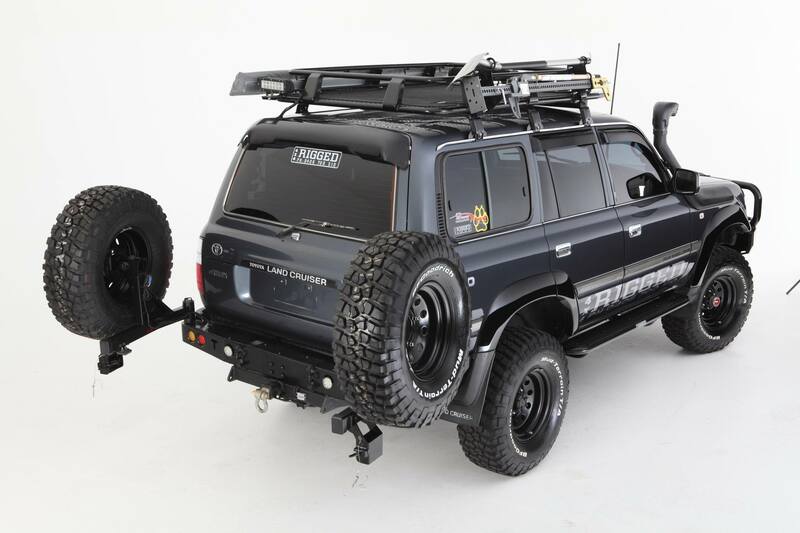 You can also find some later versions of the FJ with Bluetooth, steering wheel with audio and telephone controls, rear parking sensors, iPod support, driver arm rest, 10 JBL speakers & subwoofer, rear-view camera, spare wheel cover and on the exterior there are smoked lights, blackened grille, door handles and door mirrors, hood scoop, Bushwacker fender flares, Fox suspensions and performance exhaust with catback system. I am sure some of your reading this have ridden in the Coaster shuttle bus used by Jaya Jusco supermarket or your town council. 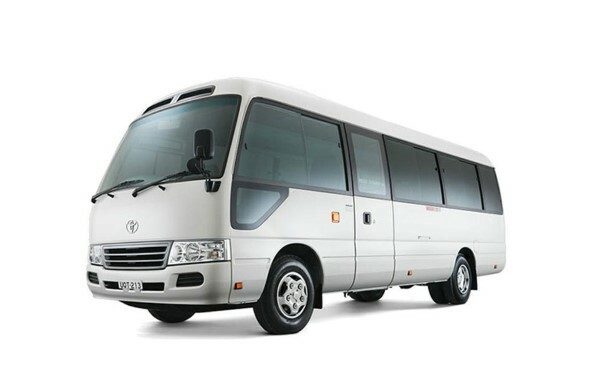 More than 550,000 have been sold globally since the model name was adopted in 1969, doing service as hotel shuttles and private minibuses in more than 110 countries. Having clocked up 24 years of loyal service, the current Coaster is being replaced with a safer, more spacious new model. 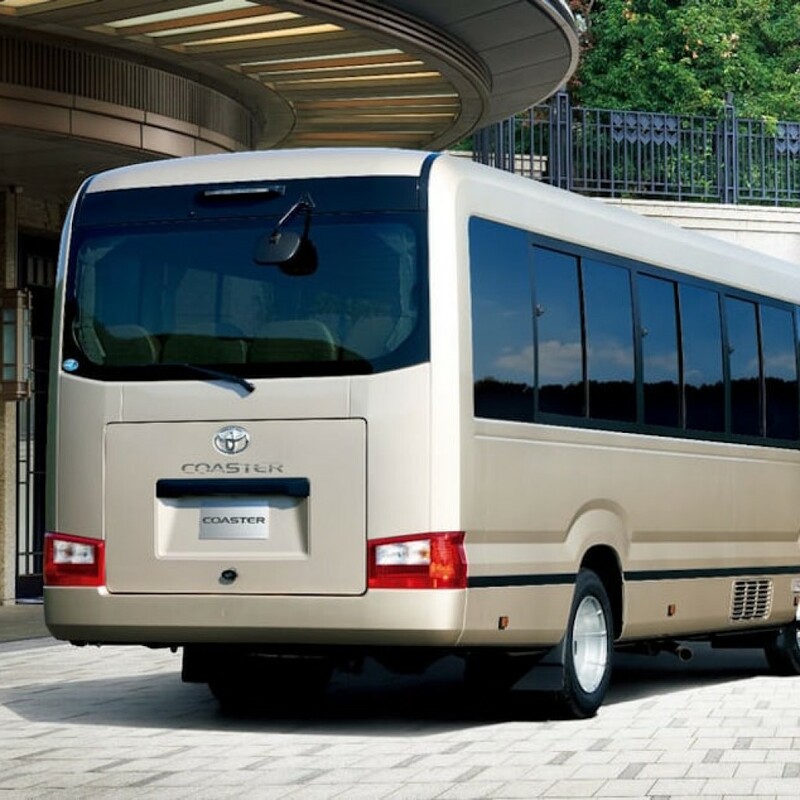 As in the car world, people expect modern shuttles to be safer, cleaner and roomier than their predecessors. Not only does the new Coaster need to tick all these boxes, it needs to be ready to serve for decades to come, just like the long-lasting current model. 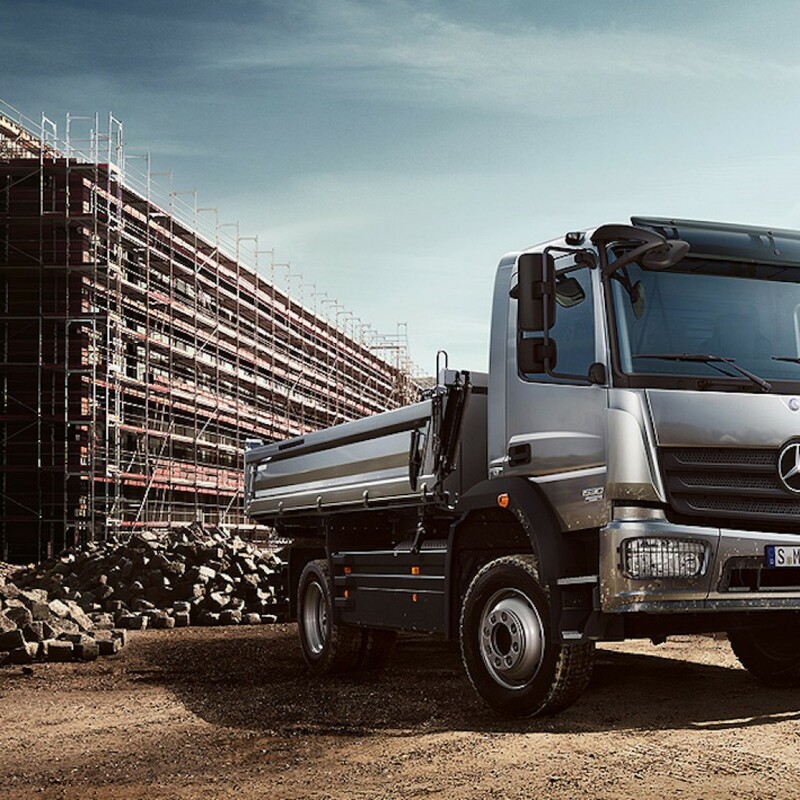 On the safety front, the Coaster makes use of a new ringed body frame which bonds the roof, sides, and floor into a rigid body for better rollover safety performance. 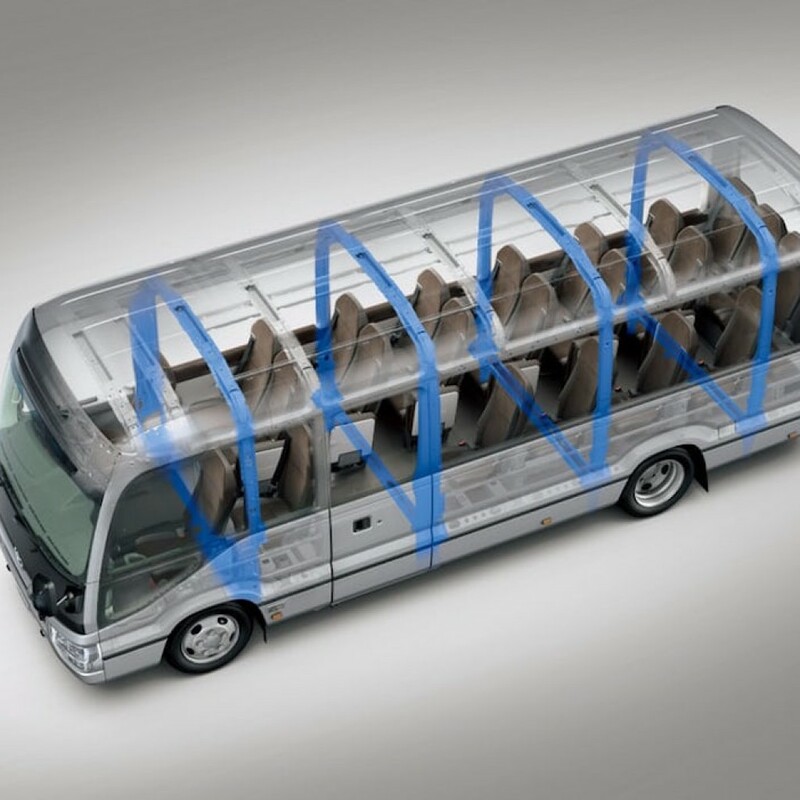 Toyota has fitted stability control to make sure keen bus drivers don’t overcook things while they’re trying to slide around, too, and all seats are fitted with pre-tensioning seat belts, although only the driver and passenger get airbags. 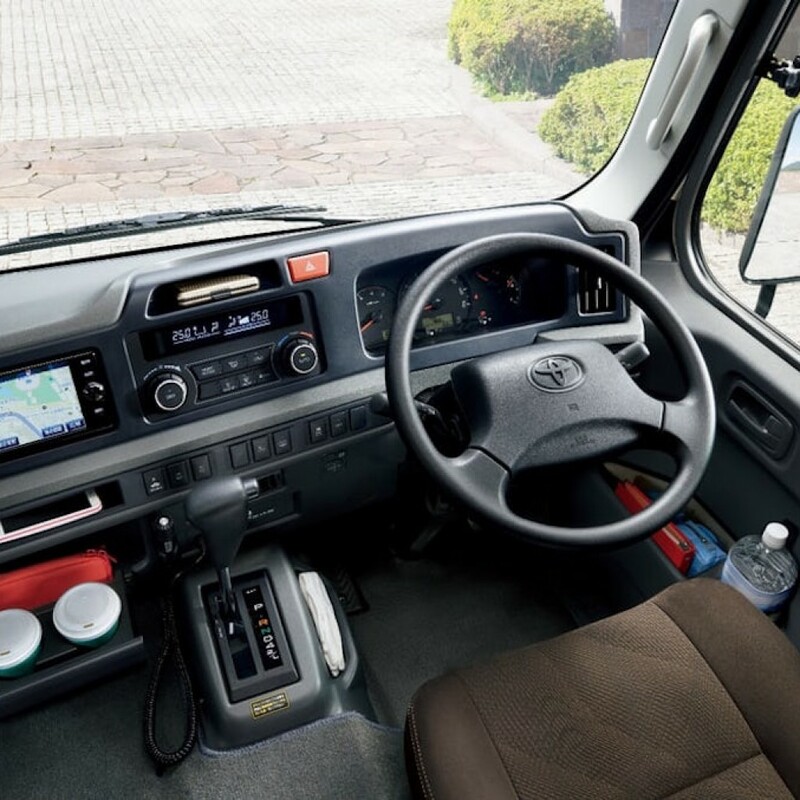 The ringed body frame should also help to improve ride quality and refinement, as will new sound deadening materials, a new engine cover and enhanced body seals. 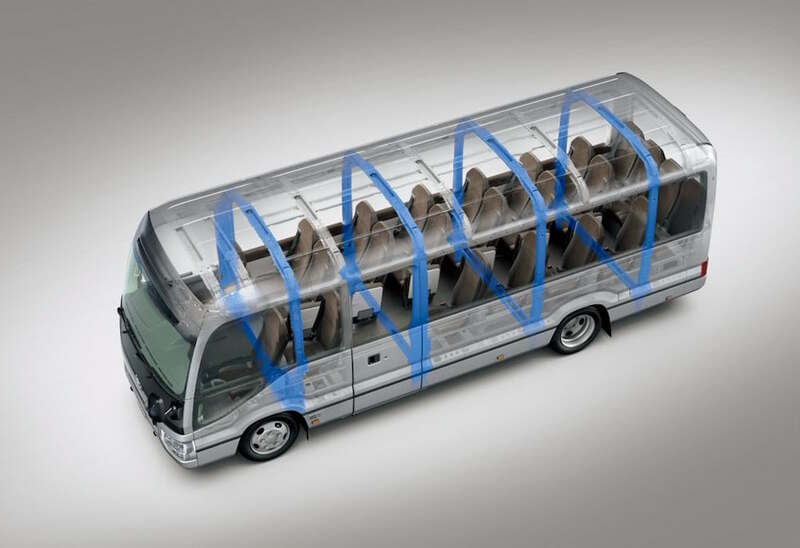 Front and rear stabilizers along with new shock absorbers should help the bus ride nice and flat, even when it’s loaded up with screaming school kids or merry adults on a winery tour. 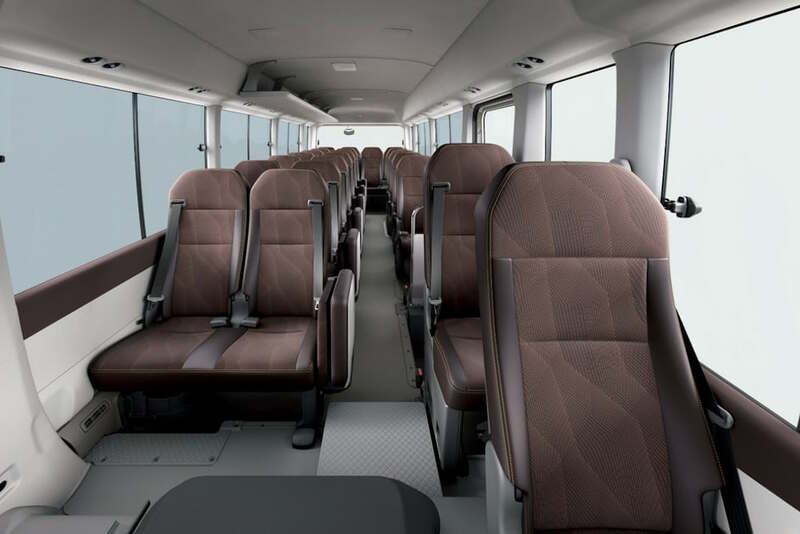 All those passengers get to enjoy a roof that’s 60 mm (2.36 in) taller, a body that’s 40 mm (1.57 in) wider and side windows that are 50 mm (1.97 in) higher than before. 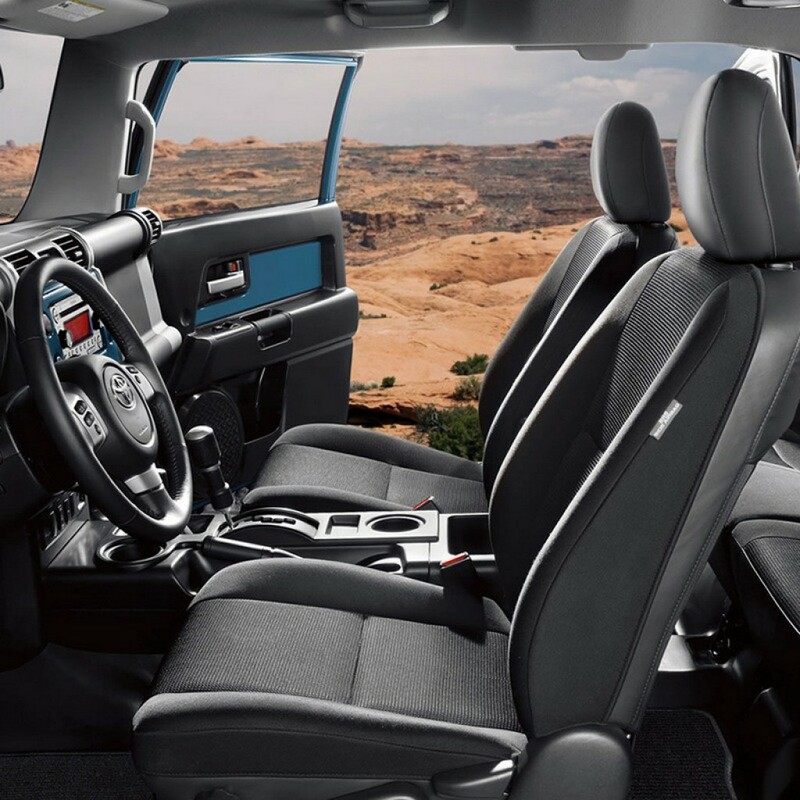 UV glass will keep the cabin cooler, and the leather/fabric seats with low-rebound cushions have been designed for extra long-range comfort. 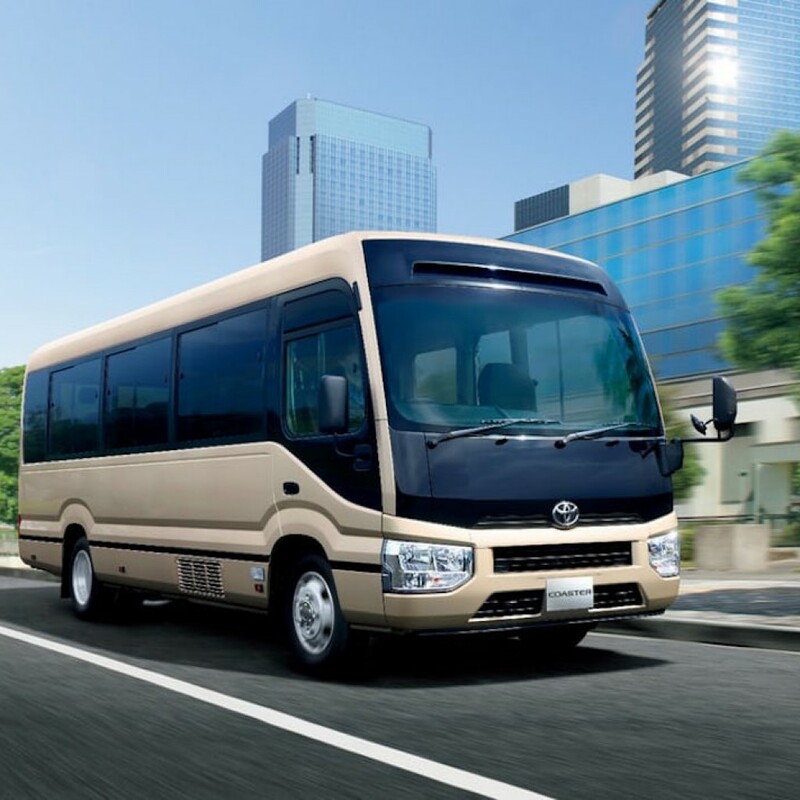 Although styling isn’t the number one concern with buses – they are long boxes on wheels, after all – Toyota has put some thought into the way the Coaster looks, with new lights and character lines running along the side. There’s no word on how much the new Coaster will cost, but Toyota is hoping to sell 160 per month in Japan. 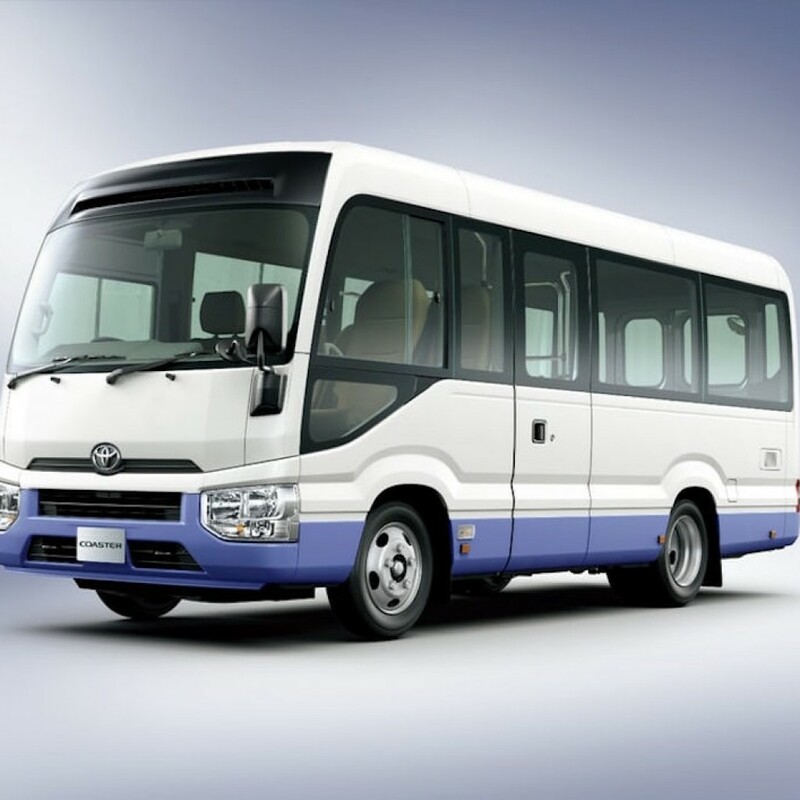 Toyota Motor Corporation will launch the completely redesigned Toyota Coaster at Toyota dealers (Osaka Toyopet dealers in the Osaka region) nationwide across Japan on January 23, 2017. The Coaster was first launched as the “Light Bus” in 1963, in response to increased demand for a minibus that could approximately seat 25 passengers comfortably. In 1969, the vehicle underwent a partial redesign and was later renamed Coaster-a name which it has continued to use for over the past 50 years. The Coaster supports the movement of people around the world. 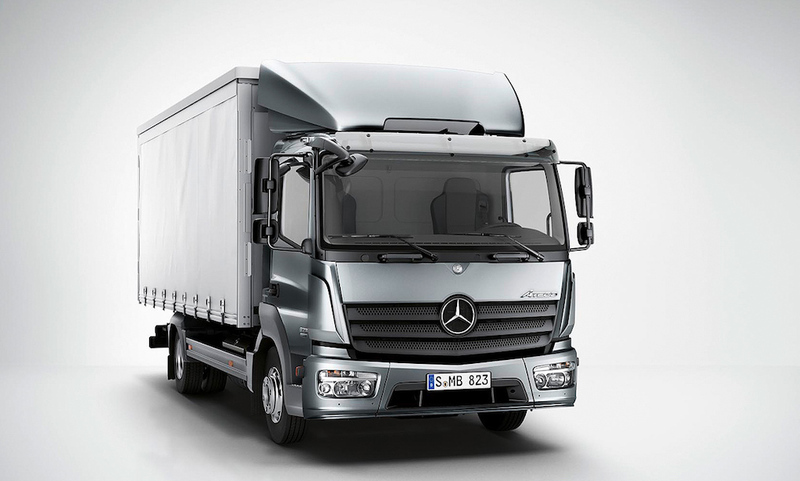 At present, it is for sale in over 110 countries and regions, and total sales have now exceeded 550,000 vehicles. 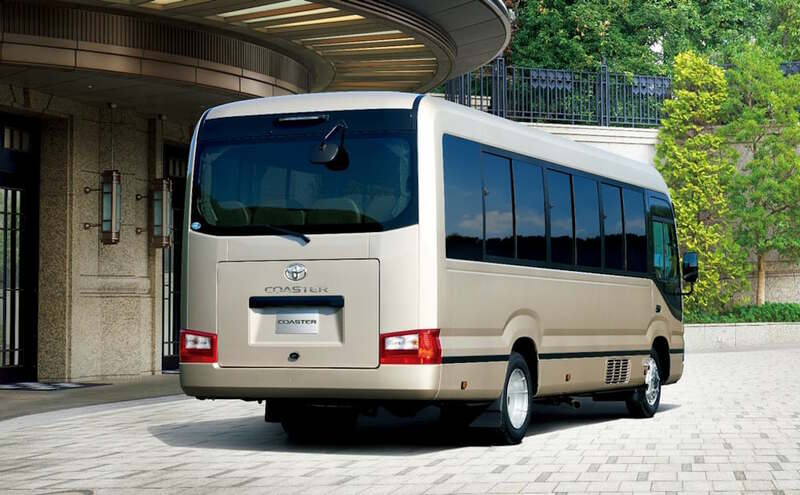 The Coaster is also regularly seen in Japan, where it is used in a variety of situations including the transportation of passengers to and from restaurants, hotels, and kindergartens1. The current, third-generation Coaster was launched in 1993. 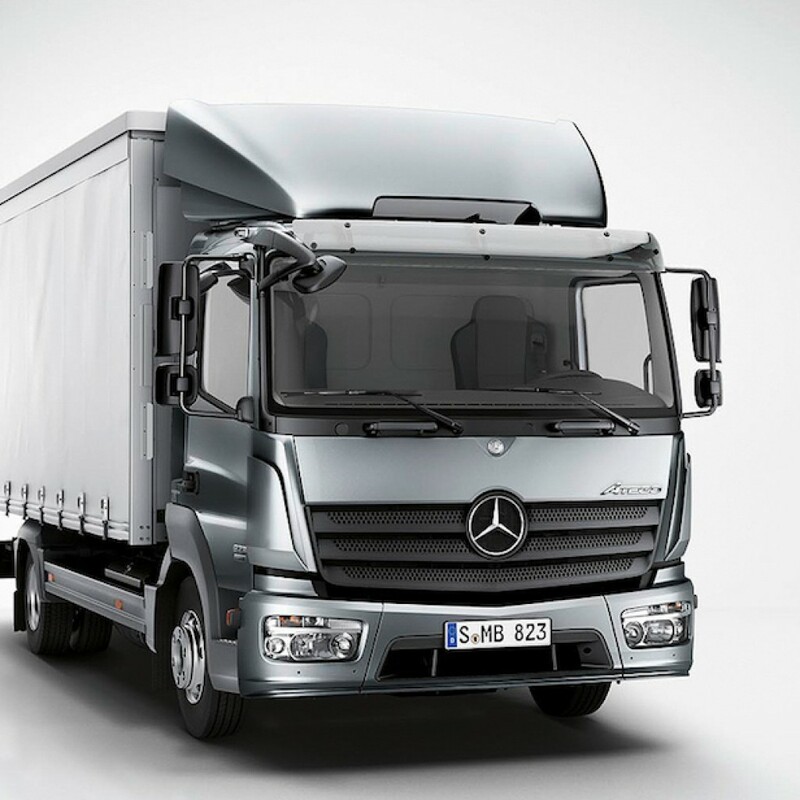 While this model has received praise for its outstanding reliability, there have been growing calls for a new design that incorporates the full safety features package. 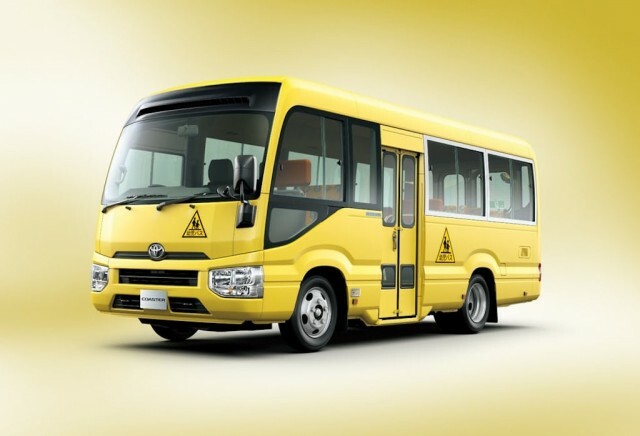 In addition, since the revitalization of the tourism industry is expected to lead to increased demand for minibuses, Toyota has aimed to develop a vehicle that will be cherished and ridden for many years to come. 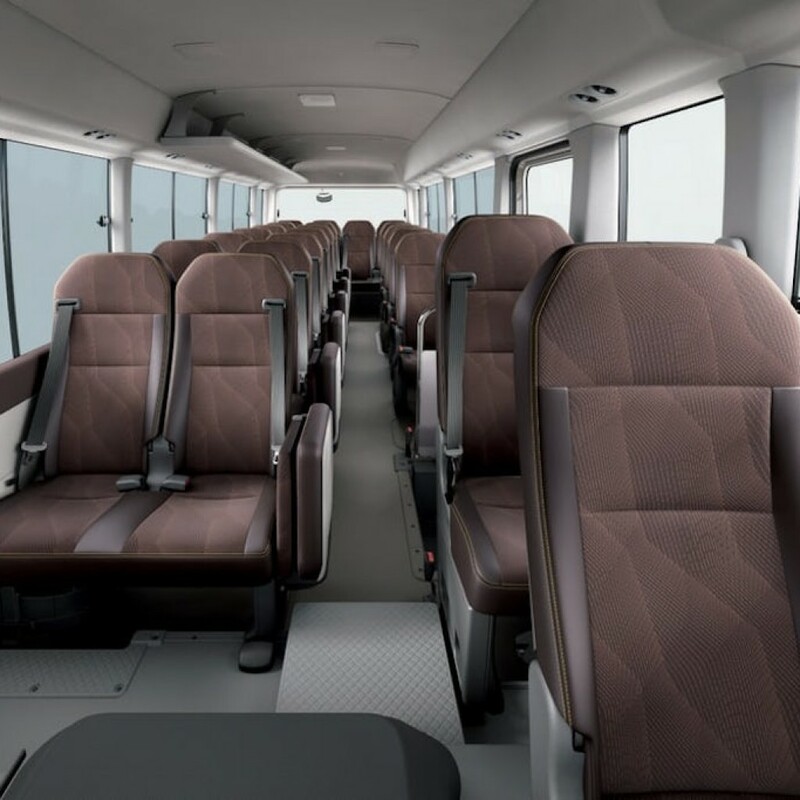 This complete redesign marks a significant evolution from the current model, and features a full range of safety functions, improved comfort, outstanding reliability, and a design appropriate for a new generation of minibuses. 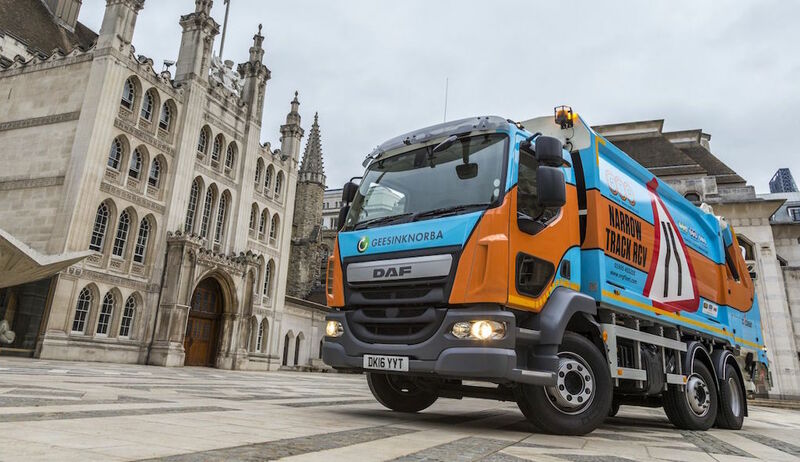 The Coaster is the first vehicle to undergo a complete redesign under the supervision of the CV Company, which was established in April this year to carry out the development of commercial vehicles from the planning to production stages. 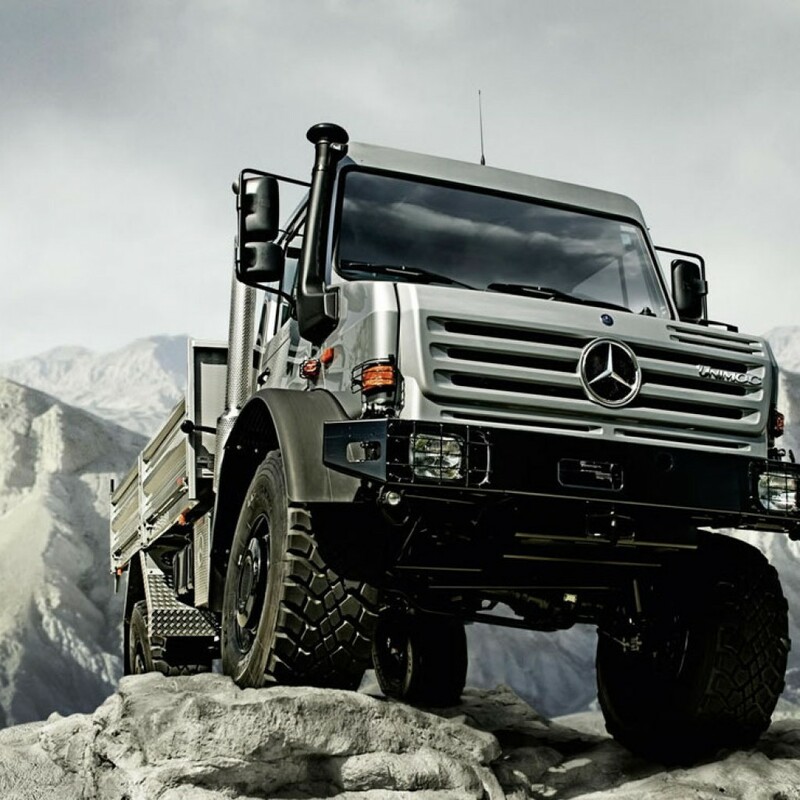 The CV Company is an in-house company that oversees the development of vehicles that continue to support the lifestyles of people from various regions around the world. 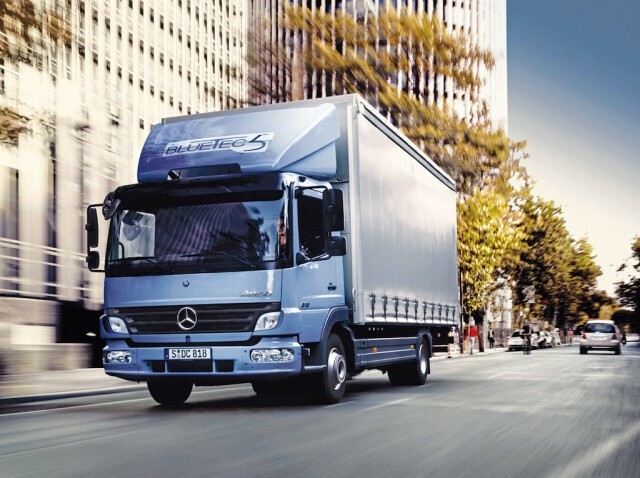 Going forward, the company will continue to engage in the creation of ever-better commercial vehicles.